In the year 2008, Adventure Photographer Timothy Dunham decided to take his photography and adventures and begin sharing them with others. Life Adventure Guiding is a true passion for Timothy. The guiding service takes people on personally tailored rock climbing, hiking and snowshoe tours. We offer single or multi-day trips in the Swiss Alps to suit your desire. The company is based in beautiful Canton Schwyz in Central Switzerland. The adventures are endless and so much fun! Some Things Creative (STC) was born out of a passion for Photography, Adventure & Life. These experiences are expressed through mediums including: 35mm Film, Fine Art, Adventure, Greeting Cards, Window art pieces, Mobile Art Gallery and Creative Consulting. 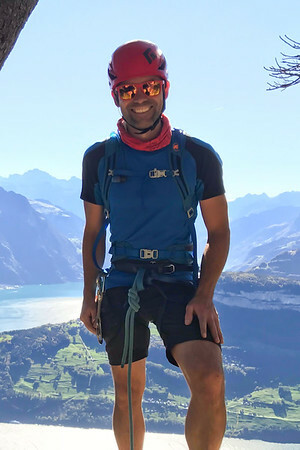 Timothy lives and works in Canton Schwyz, Switzerland as a Climbing Instructor - AMGA certified, Wilderness First Responder, Photographer and Cardiac Nurse. 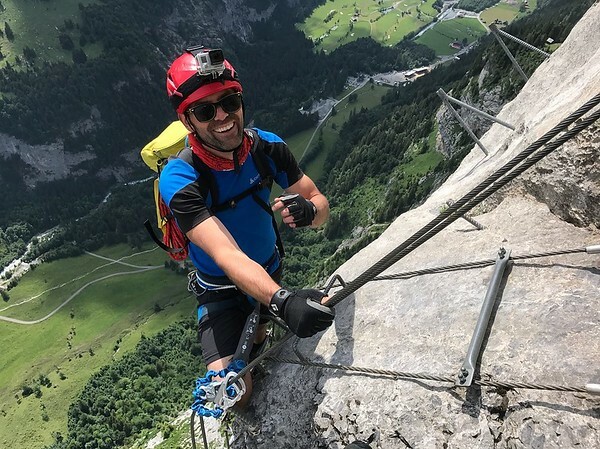 He is an avid athlete in rock and mountain climbing, running, mountain biking and swimming. He enjoys all activities in the outdoors and is always looking for fun. Originally from the USA, Timothy has been living in Europe since 7 years. The cultural diversity and access to the natural world provided is a fantastic setting for Life Adventure Guiding.